Due to the low enrollment, we will offer a Hand Puppet Workshop for children ages 7 and up at Palace Theater in downtown Hilo, from June 20 to July 1, 2016, Monday through Friday for 2 weeks. Participants will make their own puppets during the workshop and work in small groups to create short puppet performance pieces. Participants are required to attend all sessions (10 sessions during 2 week period) as this fun and creative workshop also depends heavily on ensemble work to create performance pieces. Their work in progress will be shared on the last day of the workshop for families and others. 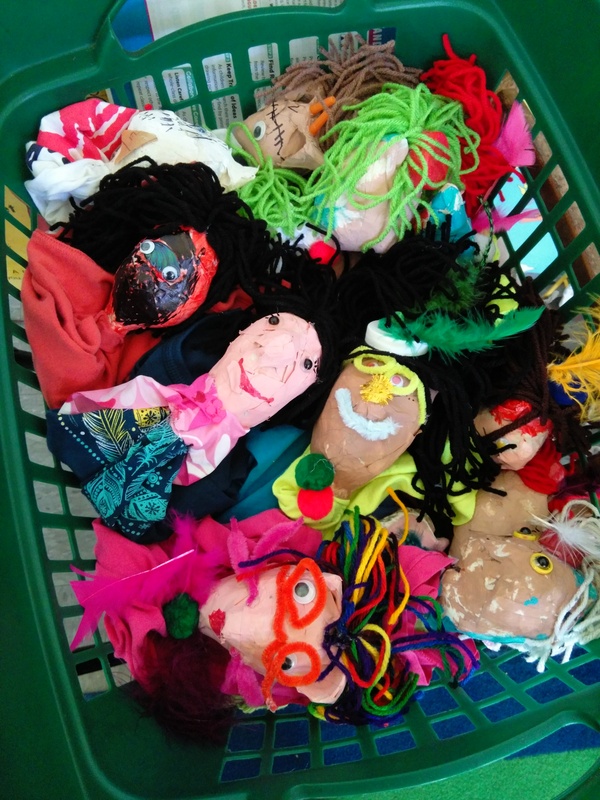 This puppet workshop is provided in partnership with Palace Theater and Bare & Core Expression. Teaching Artist: Bonnie Kim, artist and puppeteer based on Hawaii Island, received her Master of Fine Arts degree in Theatre from University of Hawaii at Manoa, focusing on arts education with puppetry, masks and movement. She has worked with Bread and Puppet Theater, internationally renowned for their giant puppets and masks. Her performances with giant puppets and masks have been showcased in Hawaii, Vermont, Korea and Cambodia. She has also worked with Handmade Parade in England for their annual Hebden Bridge Parade in 2013. Her passion for puppetry has led her to study and create various types of puppetry work not only with giant puppets and masks but also with hand puppets, Czech marionettes and shadow puppets in the United States, Europe and Asia. Her puppet show, Long Long Ago, When Tiger Smoked: Animal Tales from Korea, has been performed in Hawaii, Germany and Korea. All supplies included. Limited space available for each workshop.